I hope I didn’t arrived too early this time. Duuuuude! Grodd! Stuff on Earth 2. Tonight is gonna be absolutely ridiculous, and also a two parter. So let’s react. 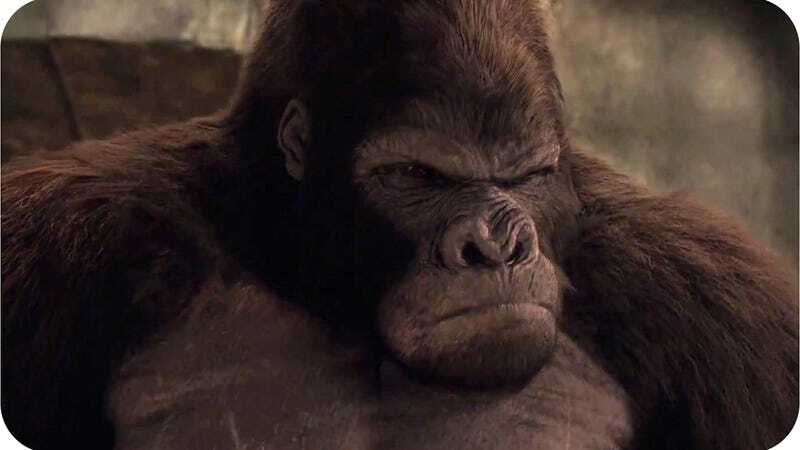 ﻿Episode Synopsis: Barry and his team travel to Earth-2 to rescue Harry from Gorilla City, but are captured and brought to Grodd, who tells them he needs their help to stop Solovar, the leader of Gorilla City, from invading Earth-1. Meanwhile, back on Earth-1, Jesse and Kid Flash hit the streets to stop a metahuman who can control gravity. Pictured: Barry moping and Grodd being a bit awkward about it. And yes, that’s an actual scene from a Mexican Telenovela.